I honed my user experience design skills working as an independent consultant. Information architecture for the redesign of the Luxury Collection website. 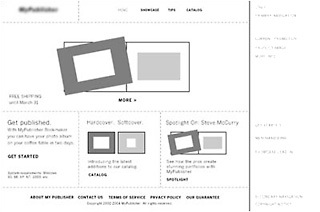 Sample shows part of an annotated wireframe detailing Flash functionality. 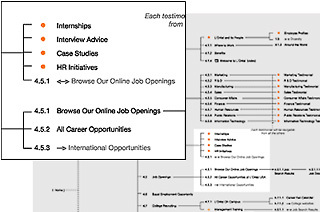 Information architecture for a prototype of the BusinessWeek Business Exchange, a crowd-sourced news aggregator. 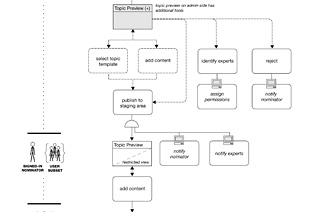 Sample shows a process flow; inset identifies the types of actors that could be involved. Information architecture for the redesign of the W Hotels consumer website. 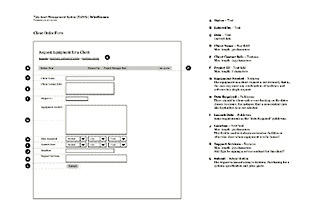 Sample wireframe shows a site-wide module for booking hotel rooms. 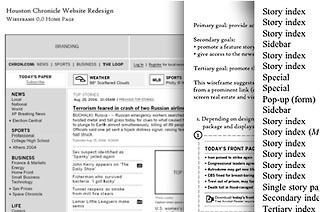 Wireframes for a site incorporating three city papers. Sample shows a dining guide and a restaurant search interface. Information architecture for a site refresh. Example shows one of three variations for a home page update. 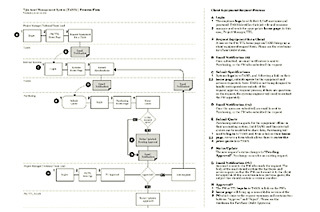 Wireframes, content inventory and analysis, site map for the Houston Chronicle's online redesign. 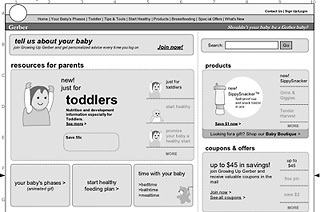 From left to right, this composite shows a wireframe for the home page; a detailed description of an area blocked out in the wireframe; and a column from a content analysis of the existing website. Visio wireframes for a benefits management application with three levels of user access. 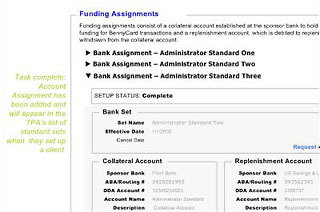 This excerpt comes at the end of a series of wireframes illustrating how the administrative user would set up necessary bank accounts. Wireframes for the website of the photo book publishing app, promoting new style options and showcase. Site map for a redesign of an existing corporate website. Inset shows examples of the system delineating new content from existing content: the orange bullets call out areas that will need content developed, while the numbers refer to the existing content hierarchy. 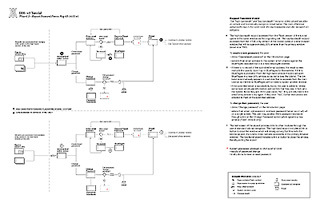 Site maps, wireframes. 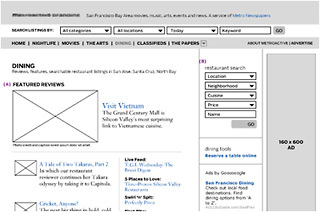 Wireframe showing parallel paths for users to navigate a tutorial in their choice of Flash or HTML.